When I toiled through the gut-wrenching failure and growth experience that led me to start this business… My journey was marked by 12 epiphanies*. These spontaneous ah-ha moments remain and foundation of everything I teach, sell and believe in. * Although I do reserve the right to add to this list as I keep learning and growing! These 12 epiphanies (or as I like to call them, ‘the 12 major shifts’), defined a whole an entire year of my life and everything wonderful that has transpired since. It is my belief that as we can adopt and truly accept these fundamental ‘truths’, we get closer and closer to true freedom & fulfilment. 1. I have everything I need, RIGHT NOW, to be successful. I don’t need to be skinnier, more extroverted, better at all the things, or more experienced to deserve and have success. I don’t need to wait anymore. I was born good enough, and I am ready to do the work. 2. Time is my most precious resource. It is worth more than money and should be invested purposefully – I will not spend it on things simply because I feel guilt or obligation. I will not spend it on things that make me feel resentful. 3. My business is NOT my baby. It is NOT my identity. It is an experiment that I am free to quit, change or cancel at anytime. I do not exist to support my business, it exists to support me. 5. Happiness will not happen by accident. If I don’t define where I want to go, the loudest voices and most urgent needs around me will decide for me. My happiness matters enough to put the work in to define and chase it! or by how badly I want something. It will be what I am willing to endure and let go of that will determine how successful I am at taking action to realize my big dreams. 7. Ego often looks and feels like good sense. Limiting beliefs often look and feel like truth. I must ask myself ‘why is this important’ and ‘is that true’ when feeling intense pressure from a thought, task or obligation. 9. Busy and efficient are false measures of accomplishment. The goal is to be effective. Being busy and good at getting a lot done in one day are not enough to make a REAL impact in my life and goals. 10. Growth is not linear, it’s cyclical. There will be ups and downs and ups again. The high is followed by the low and vice versa. I will take comfort in this inevitable, endless cycle and know that I am as sure to be influenced by it as the tide is by the moon. I’m not doing it wrong, it’s just the normal way of things! 11. Everything good lives on the other side of fear. Fear will always be present, but it doesn’t have to be in control. Facing, tackling and uncovering new fears is one of the many thrilling benefits of being alive. If your goal is to never be uncomfortable or scared, you’re going to miss out on the very best parts of life. Success is by definition, uncomfortable. 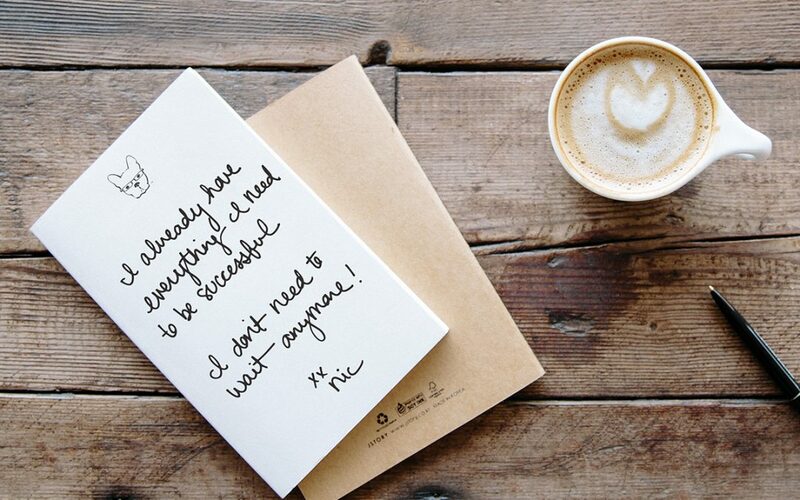 Resource: All of this goodness will not come overnight… so have patience as you begin your brand building journey. It’s a marathon, not a sprint. Inside we’ve got some helpful getting started resources, and a tremendous community to help support you along the way. 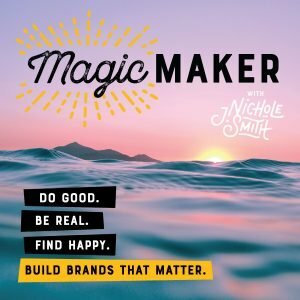 Also, check out the Magic Maker podcast, for weekly brand-building inspiration. 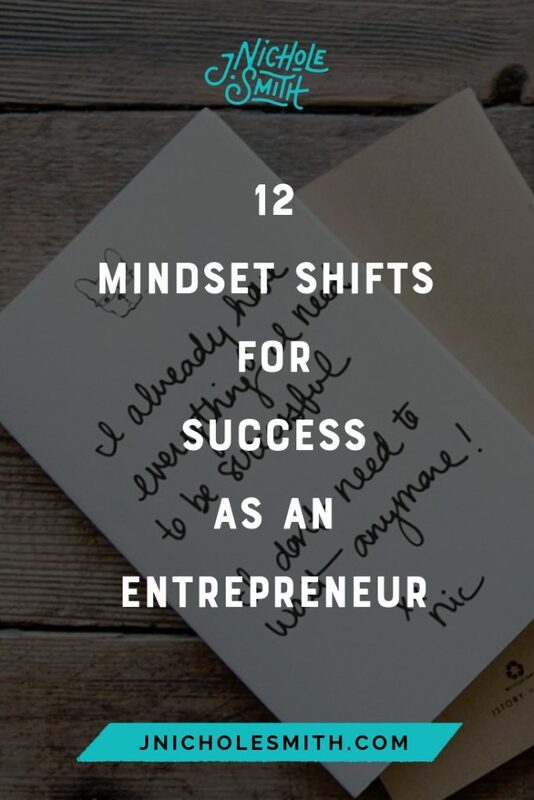 I believe that success comes faster and easier to an entrepreneur who accepts and lives these 12 realities. Now obviously, we are not perfect beings, so our journey will looks more like a roller coaster or spin art (remember spin art!?) than it does an upward trending graph (see #10) That’s just how it is. So the goal is not to be perfect, but whole. The pursuit of perfection is a futile one… as Elizabeth Gilbert says in Big Magic, ‘Perfectionism is just a high-end, haute couture version of fear’. You’re not fooling anyone (especially yourself) so go on, give in to the imperfection and wear it like a badge of honor. Roll up your sleeves and focus instead on making that money and building momentum.